A small, family-owned and operated wool and fiber mill in northern Illinois. We have carefully chosen each piece of our custom-made milling equipment to provide state-of-the-art milling service to our customers. Our particular focus is to assist small family farmers and shepherds in producing beautiful, custom-made, marketable products (roving, batts, clouds,corespun rug yarn, and traditional plied yarn) from their fiber animals (sheep, alpacas, llamas, camels, goats, rabbits,etc.). When your fiber arrives at Round Barn Fiber Mill, it is first of all evaluated: we open your package and weigh your fiber. We also look the fiber over carefully to determine how much, if any, skirting is needed. 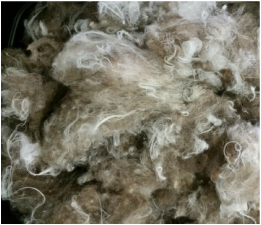 If your fleece contains too much manure and vegetable matter to allow further processing in this condition, we’ll contact you to discuss additional needed services (such as skirting and tumbling). Occasionally, we may need to send fiber back to you if we feel its condition is too poor to be professionally processed. 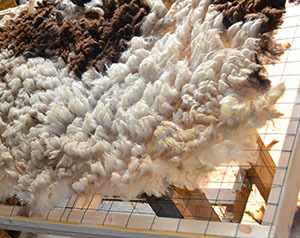 “Skirting” is a fancy term meaning to go over a fleece and remove as much foreign matter as possible by hand. Things to removed include manure tags, soiled edges, second cuts (short locks of fiber created when the shearer goes over the body a second time during shearing), foreign objects (like wire/sticks/etc. ), and vegetable matter (like hay, straw, burrs, stickers, etc. )We include 15 minutes of skirting time in our basic washing charge. As noted above, it is your responsibility to skirt your fleeces thoroughly before sending them to be processed by us. If the fleece has excessive manure or vegetable matter, we will need to charge for additional skirting. “Tumbling” is an optional service in which your fiber is placed in a machine called a tumbler and, well, tumbled, to removed dirt/dust/vegetable matter, etc. 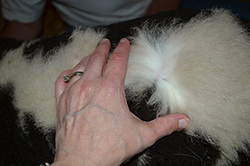 The tumbling process is particularly helpful for camelid fiber (such as llama and alpaca), so we routinely tumble all camelid fiber (after skirting and before washing). Occasionally, a wool fleece may benefit from tumbling as well. After skirting, all fiber must be washed. 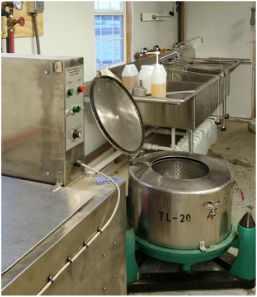 We have several washing options, including hand washing in sinks or washing in an industrial fiber washing system. We choose the best method to clean your fiber based on the fiber itself. We strive to use biodegradable cleansing agents that will not harm your fiber or the environment.Some fiber is sent to us pre-washed by the customer. 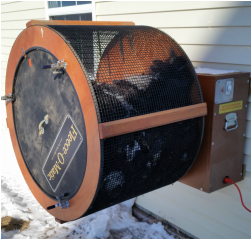 We reserve the right to determine if such fiber needs re-washing to be suitable for carding on our equipment. Such re-washing carries an additional charge.